There is almost always a line but the turnover is pretty quick and it’s worth the wait not to mention some good people watching. The bar on the kitchen is great if you are as fascinated as I am watching what seems like chaos come together to a beautiful bowl/plate. My favorite is the Spicy Miso Ramen. This baby comes with smoked chicken, poached egg, sesame, nori and thin springy noodles. It has a nice kick to it and is full of umami but still has a lighter taste compared to the Momofuku Ramen. 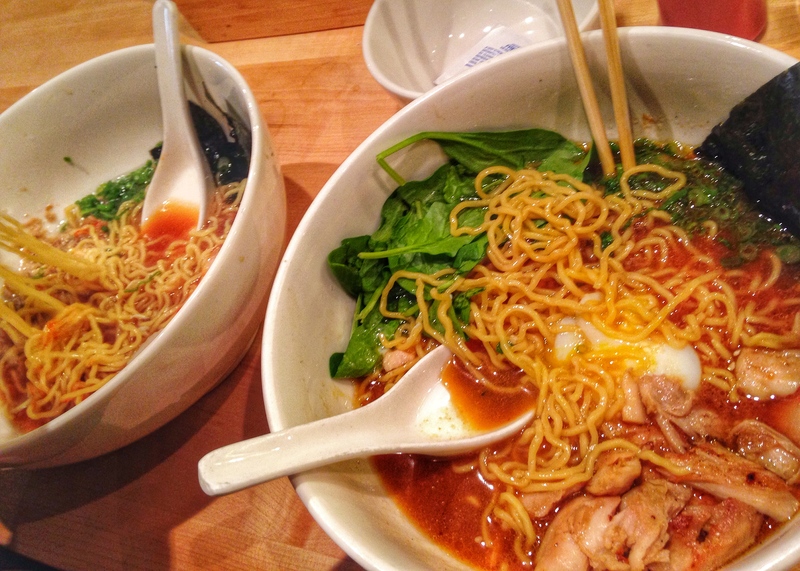 The pork belly and pork shoulder give the Momofuku Ramen a really rich and hearty taste. The noodles are nice and chewy and the broth the kind of rich and buttery only several pounds of bones cooking over a couple of days can achieve. Take a peek inside Momofuku with my Tastemade video! 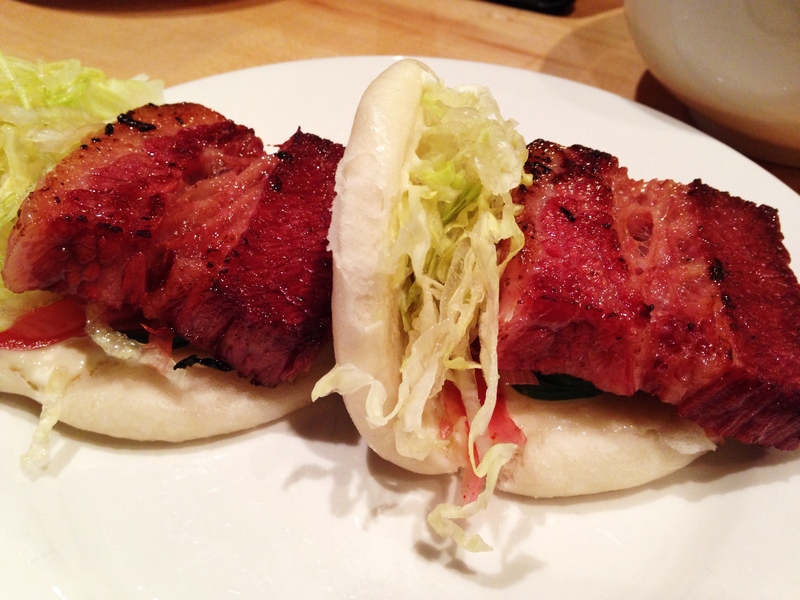 Besides the ramen the buns and chicken wings should make it on your list to try. The brisket buns are a nice combination of rich meat with fresh and spicy with horseradish, pickled onion and a little crunch of cucumber. The chicken wings are baked and drenched in a garlic, pickled chili, scallion and soy sauce. 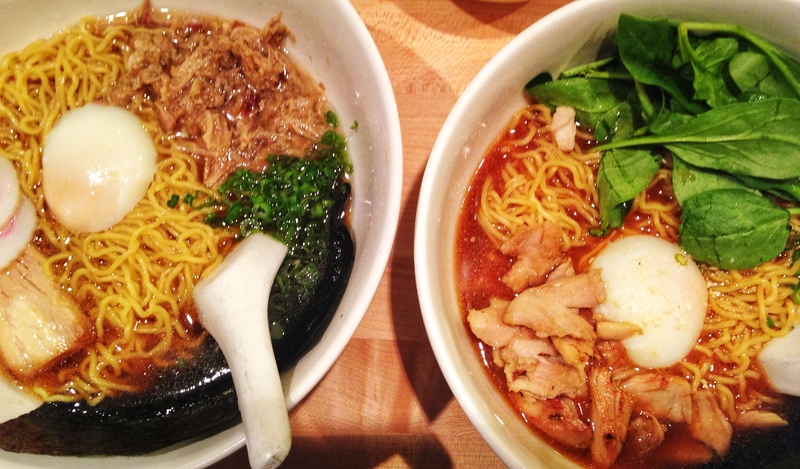 Although Momofuku isn’t cheap you will not feel like eating for at least seven hours the ramen is that rich. The big portions also make it easy to get two meals (at least) out of one order. Happy slurping.